The community meals will be hosted on April 8, 9 and 10 in all towns of Karnataka with a population of over 10,000. Bengaluru: Chief Election Commissioner Om Prakash Rawat today said the poll panel would take prompt action to bar the BJP's plan to host "community meals" at the culmination of its "a fistful of grains" campaign if it was found violating the model code of conduct. "Nobody has formally brought this to our notice. However, the Commission will collect facts on it (hosting of community meals) and if they (BJP) are found violating the model code of conduct, immediate action will be called for," he told reporters. "Mushti Dhanya Abhiyan" was launched by the BJP recently, under which farmers and party leaders will have a meal cooked from "a fistful of grains" collected from families of farmers' households across the state and take an oath to prevent farmers' suicides. The community meals will be hosted on April 8, 9 and 10 in all towns with a population of over 10,000. BJP state in-charge P Muralidhar Rao defended the community meals, saying these were not owned by the BJP and they would be doing it in a decentralised way. 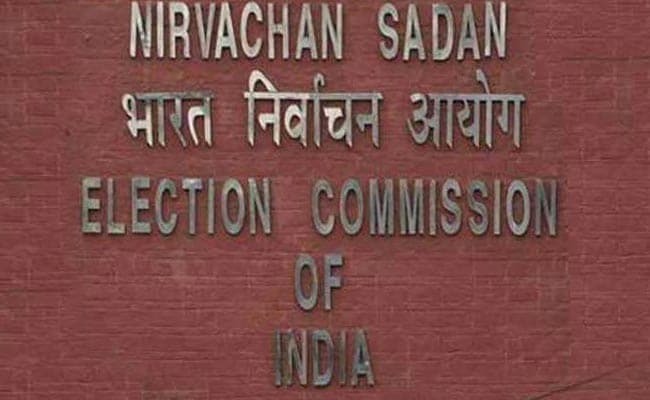 On former Prime Minister H D Deve Gowda's complaint with the election commission against the Siddaramaiah government for allegedly misusing its machinery for electoral gains, Mr Rawat said his office would take stern action against extra constitutional personalities trying to meddle in the election machinery. "The Commission is seized of Deve Gowda's complaints. We are collecting facts and investigating. If any extra-constitutional personalities try to meddle in the affairs of election machinery, the Commission will come down heavily on those people," he said. Mr Gowda had submitted a memorandum, alleging that the ruling Congress was misusing government machinery for electoral gain. Mr Gowda had levelled six charges against the government, including preferential posting of officials in the districts of Mandya, Mysuru, Ramanagara and Hassan. Replying to a query, Mr Rawat said political parties had requested the Commission to effectively check the "flagrant distribution of money" to bribe and induce voters. They also demanded effective steps to be taken to prevent distribution of freebies by certain NGOs and trusts, who are reportedly serving as proxies for some political functionaries, he said. Political parties had also requested the Commission to ensure availability of Booth Level Officers at polling booth with list on the day of special drive for enrolment on April 8, Mr Rawat said. He also said as per the final electoral rolls published on February 28, there are 496.56 lakh electors in the state with 251.59 lakh male and 244.76 lakh female voters. Mr Rawat said a total of 9.17 lakh names, including 4.88 lakh of those who have shifted, 3.67 lakh deceased voters and 0.61 lakh repeat entries have been removed from the electoral rolls during the special summary revision 2018. At present, there are a total of 56,696 polling stations at 41,314 polling locations, but these would go up as voters numbers increase, he said. EVM with Voter Verifiable Paper Audit Trail will be used in all 58,546 polling stations of 224 assembly constituencies, Mr Rawat said.